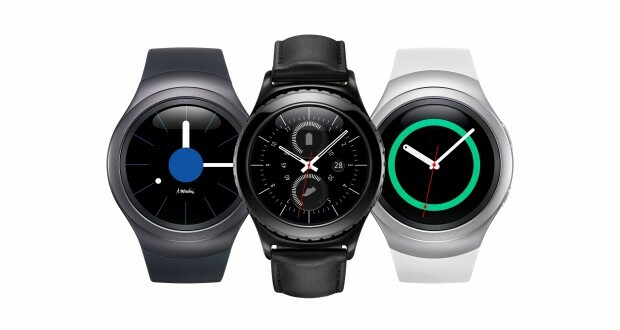 Back in October 2015, The Samsung Gear S2 was released and the new Gear S3 is about to be released very soon. 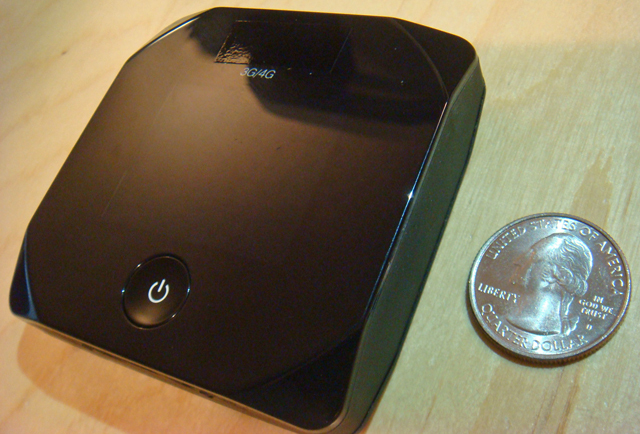 So I thought this would be a good time to finally review my “old” S2 (@ Best Buy). Why did it take so long to review it? Frankly, because I wasn’t very excited about it. First a little of my watch history. After decades of always wearing a watch, cell phones became small enough to carry around everywhere in the 90’s. At that point, I stopped wearing a watch. My life wasn’t so hectic that I couldn’t look on my phone for the time instead of my watch. Fast forward to Apple releasing their watch and causing a renewed interest in watches. Being the victim of advertising that I am, I wanted to try one out but the Apple Watch does not work with my Samsung Android phone. So when Samsung came out with their watch last year, I reluctantly got one. 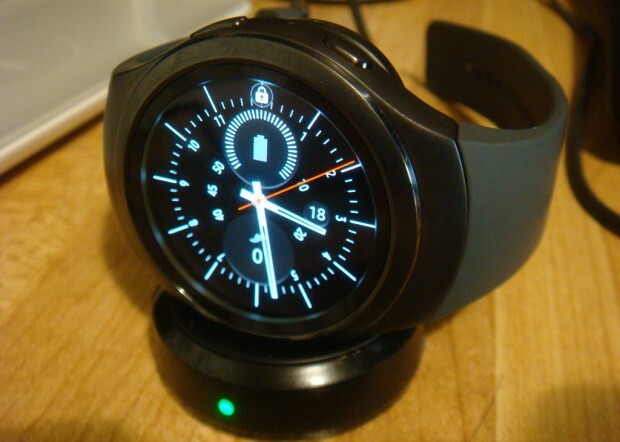 As you can see below, the G2 comes with a wireless charging magnetic “stand” with a LED light that turns green when your watch is fully charged. Over the decades when I used to wear watches, I had many different types of watch bands. The default band that comes with the G2 is one of the worst types that cheap watches have. It’s rubber so it’s hard to put on your wrist. It also feels cheap and awful when you start to sweat. 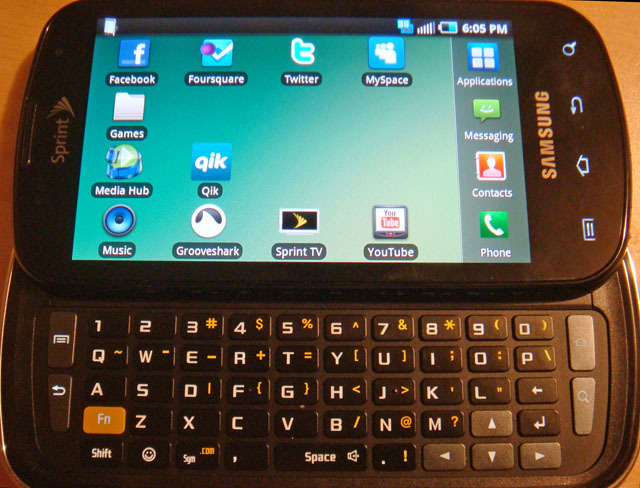 But what I really like on the G2 is the bezel that turns to change modes. This is so much better to use than turning the tiny crown on the Apple of other watches. There are also 2 other buttons on the right side “Back” and “Options.” Unfortunately, that’s about the end of the pros list. Before you can use it when you first put it on, you have to type in your PIN to access the watch. I find this to be a pain. Most of the time, I’m in a hurry and don’t have time to be putting in a PIN, which sometimes do not enter properly because my finger is moist or dirty. I wish it would unlock with my fingerprint like my phone. 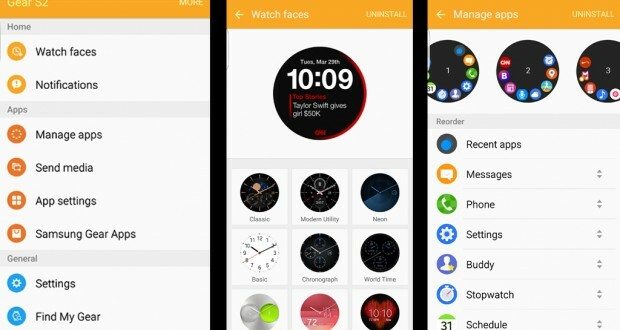 Of course, there is an app that you download to change the face and upload apps to the watch. Some faces have options that you can change, while others do not. There are tons of free faces that you can download from Samsung. One of the more obvious apps to download is the stopwatch, which I have assigned to a double click of the options button. This makes the watch the same as an old Casio watch from the 80’s. 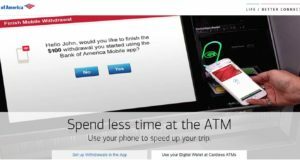 There are tons of other useless apps you can download. I say this only because I also carry my smartphone with me at all times. Having a calculator and calendar on your watch was fantastic in the 80’s but why do I want to use a tiny screen to do calculations when my huge screen smartphone is in my pocket. Why do I want to scroll and read news on my tiny watch screen? I don’t. 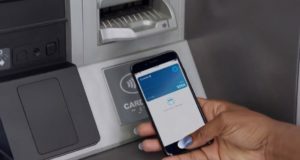 One other thing the G2 has that Apple Watch doesn’t is Samsung Pay, which works with NFC but not MST like the Samsung Galaxy S6 and 7. I rarely use Samsung Pay on my phone so it’s not likely I will use it a lot on my watch. But I wanted to try it out so I decided to download the beta when it became available a few months ago. 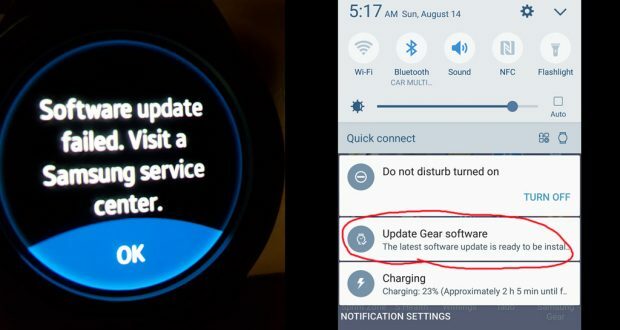 That turned out to be a big mistake because when new versions of the Gear software became available, it was not able to update the watch properly. As you can see below, you get an error on the watch and contacting the Samsung service center was a big waste of time. They told me they don’t service watches and to contact Samsung directly. Calling customer service at Samsung was of little help. They told me to call another number and arrange to ship it back to them by mail, during which I would not have a watch. So as a last resort, I decided to try contacting Samsung via Twitter. I’ve had good luck with this method with other companies. 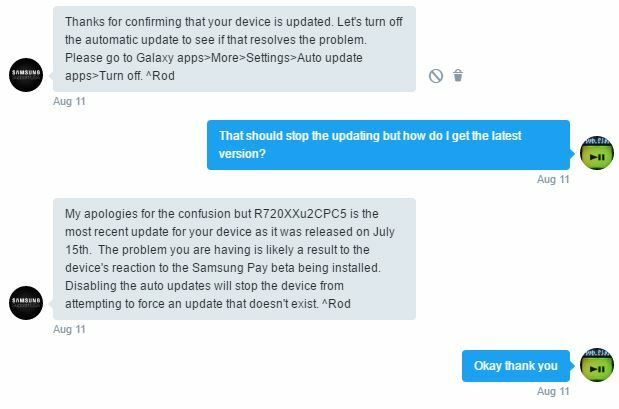 After some diagnostics, as you can see below, basically they confirmed that I was using the latest version and the Samsung Pay beta was causing a false update because of a bug. After turning off the updates, it stopped reminding me every day but it still comes up periodically. It’s annoying but not it doesn’t stop the watch from being usable. The watch has a ton of features for people who work out, including the ability to measure your heartbeat. But if you’re lazy like me and don’t work out, those features will go unused. For me, the only time it’s very useful is when I am busy, and I don’t want to bother taking my phone out of my pocket every time I get a notification. 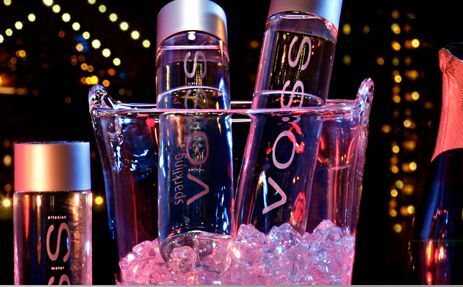 This is perfect when I’m playing in a poker tournament. I can just look at my watch and ignore most of my notifications. Can I live without one? Yes. 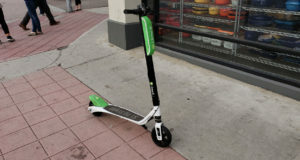 Should you get one? Only if you are into fitness.